The Renovation of Lanta Nice Beach Resort will provide guests more comfortable and convenience located on 5 rai area at Klong Nin Beach, the most romantic and charmful place on Ko Lanta, with quiet and unique stunning atmostspher, more convenience with new Front office, new Beach Bar & Restaurant as well as car parking. 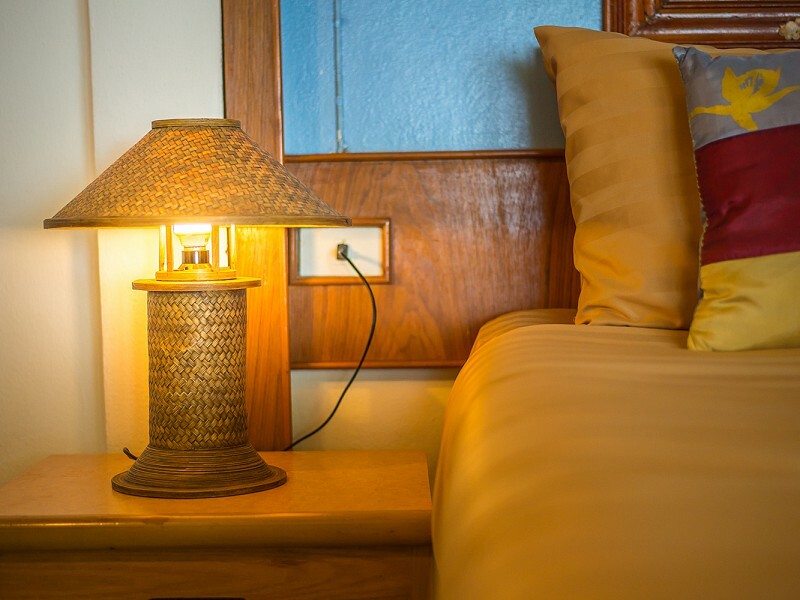 Lanta Nice Beach Resort has assorted with 40 clean Bungalows within simple style harmony to the surrounding nature, ready to welcome every guest with warm and appreciate. Deluxe Beach Front ( 3 rooms) Right on the beach,Bungalows come withAir condition, Mini bar, TV with cable program,Boiler with coffee-tea, Wardrobe, Dressing table armchairs with table coffee set, Bathroom come with hot shower, Hair dryer, Garden front balcony with chair-table. Deluxe Bungalow Beach Side row two or three ( 6 rooms) Located is 20-30 Meter away from the beach and front of them is Deluxe Beach Front. At the second row to third row.Come with air condition bungalows with full facilities; Just few steps reach from room to the beach, Satatellite TV, Hot Shower, Mini Bar, Refrigrator, Dressing Table, Wardrobe, Front Private Balcony with Chair & Table, Coffee / Tea Maker and Hair Dryer. Superior Connecting Sea Side ( 8 rooms) Located is 50Meter away from the beach and front of them is Deluxe Sea Side. At the fourthrow from the beach. The room is two room connect (1room with 1 big bed and connecting door with another room is 2 single bed). Come with Air Condition Bungalows with full facilities; Satellite TV, Hot Shower, Mini BAr, Refridgerator, Dressing Table, Wardrobe, Front Private Balcony with chair & table, Coffee / Tea Maker and Hair Dryer. Superior Garden Side ( 8 rooms) Located is 120-150 Meter away from the beach, at the six row to twelfth and opposite beach side ( across the street ). Bungalows come with Air condition, Mini bar, TV with cable program, Boiler with coffee-tea, Wardrobe, Dressing table armchairs with table coffee set, Bathroom come with hot shower, Hair dryer & Garden front balcony with chair-table. Standard Garden Side ( 15 rooms) Located is 100-150 Meter away from the beach, at the fifth row to tenth row and opposite beach side ( across the street ).Bungalows come with Air condition, Mini bar, TV with cable program, Boiler with coffee-tea, Wardrobe, Dressing table armchairs with table coffee set, Bathroom come with hot shower, Hair dryer & Garden front balcony with chair-table. 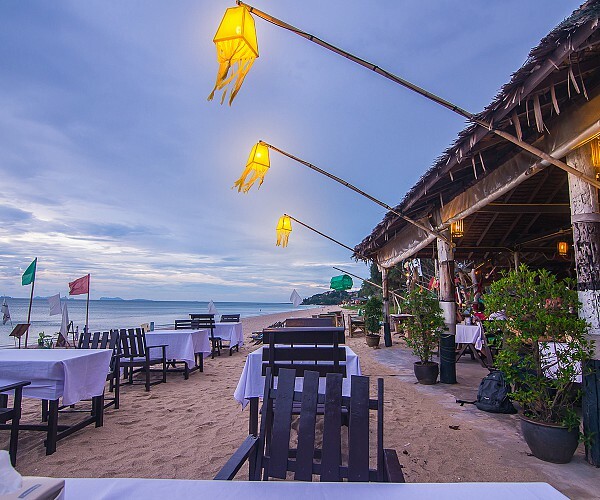 Lanta Nice Beach Resort has assorted with 40 clean bungalow within simple style , harmony to the surrounding natre, ready to welcome every guest with warm and appreciate.